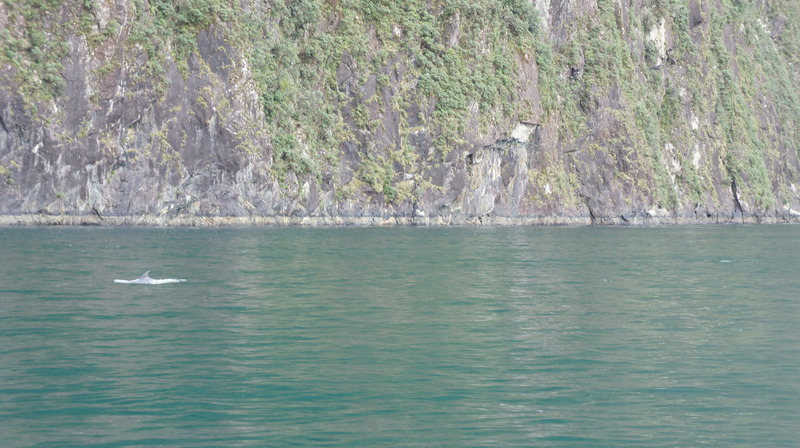 New Zealand road trip: part three. Queenstown to Milford Sound (and back again). Via Glenorchy. After another night in Queenstown, recovering from the night before after a couple of beers turned into a Big Night Out, I finally headed out towards Glenorchy for the next bit of my roadtrip, this time with a bit of company with Johnny, the Irish guy I’d met in Wanaka and then again in Queenstown. Him in his campervan, me in the ute. 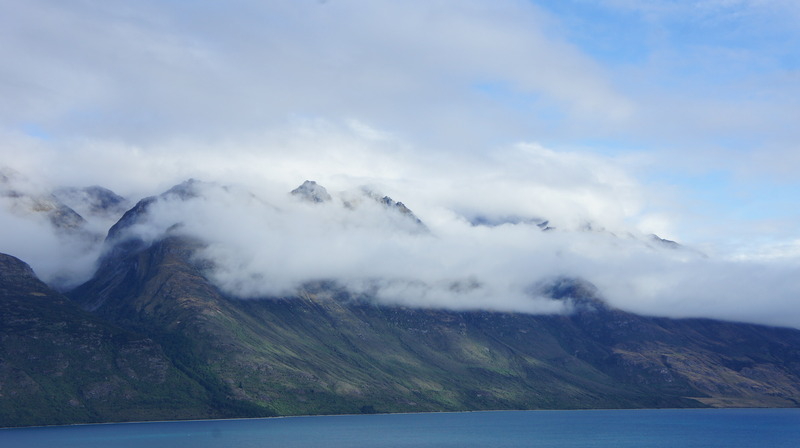 Driving to Glenorchy is pretty special. 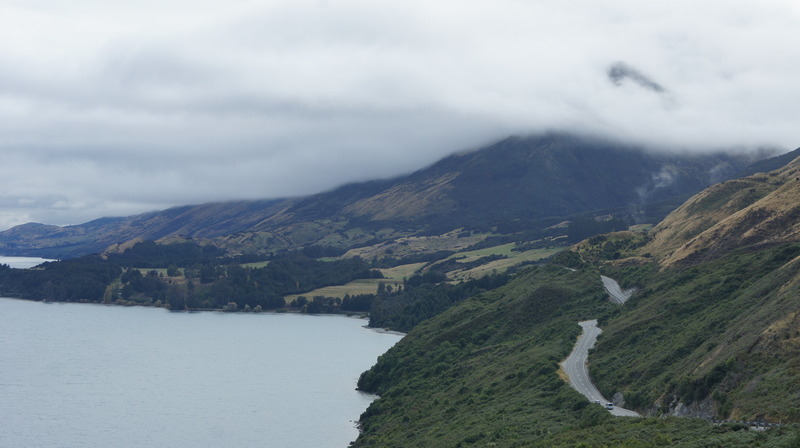 A road that hugs the side of the mountains along Lake Wakatipu, snaking in and out and round and round. You can’t go particularly fast, but you wouldn’t want to, because you’d miss it all. There was a bit of low cloud when we were driving up so we didn’t get the full in-your-face-blue of the lake, but I quite like it when the cloud hangs around the top of the mountains. It’s pretty and reminds me of my Dad telling me to make sure I take lots of pictures of the land of the long white cloud for him. 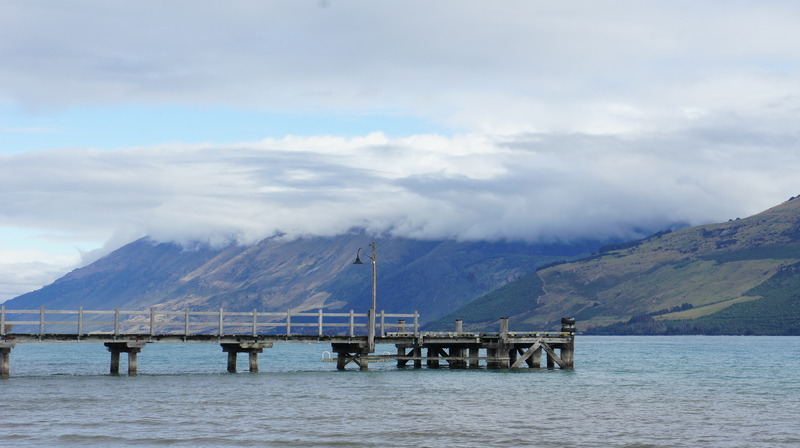 Glenorchy itself is a tiny little village with not a lot there. 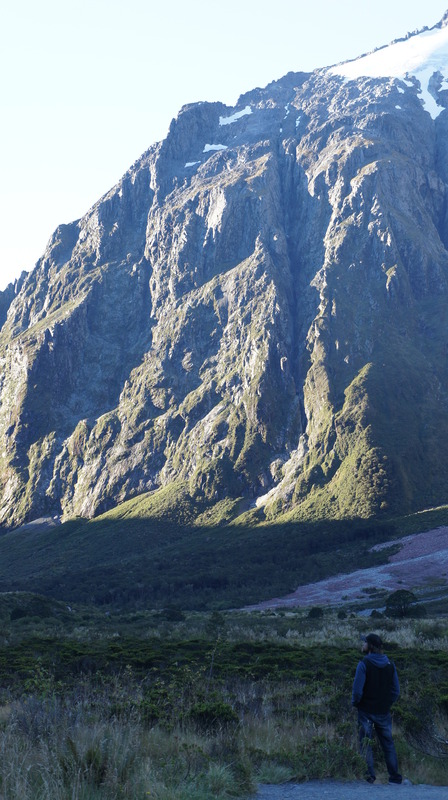 People go there for all the walks around and nearby (it’s the start of the Routeburn track). We did the Glenorchy walkway to see the black swans (they seem so much more exotic than white swans), then spent a few hours just sat on a jetty in the sunshine staring out at the lake and the mountains. Just doing nothing but talking about everything and anything; like you do when you are getting to know someone. It was a most wonderful few hours and one of those moments where there was nowhere else I would have rather been. We headed up to a DOC campsite at Lake Sylvan. I can’t remember whether I’ve mentioned the DOC (Department of Conservation) campsites before. If I have, then sorry. Great little places, cheap as chips (About $6 a night) and always in some of the most beautiful scenery going. Not a lot of facilities, but that kind of enhances the experience. Makes it more authentic. And really makes you appreciate the small things. 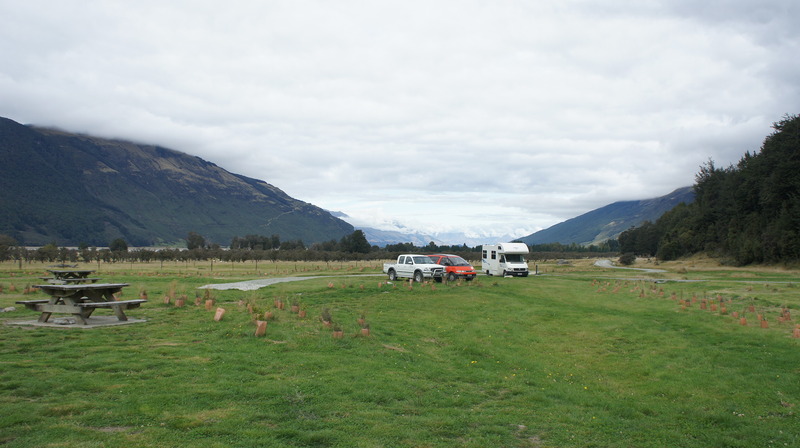 This campsite was pretty cute, some great walks on the doorstep and of course, this being New Zealand, mountains in the background (forget land of the long white cloud, it should be called land of the many mountains). After a little walk to the lake (renamed Dead Dog Lake due to a piece of wood that looked spookily like a, erm, dead dog) and making friends with a bird called Ray, we had the first night of cooking on the little stove that Johnny got in his campervan. Well, when I say cooking, I mean Johnny heating up a tin of beans and making a cup of tea for us. But, as it was more than either of us had done so far when on the road, I’d say it counts as cooking (pretty much like the time Marsha ‘cooked’ tea for me in Queenstown – definitely counts). This was probably my favourite night of camping. I’m not sure why, but as I sat there eating my bowl of beans and drinking tea with no milk, it just felt like a pretty perfect evening. 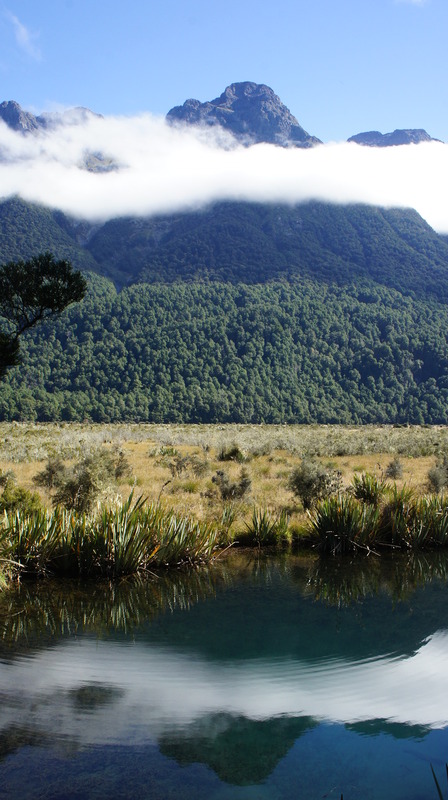 A lot of the area around Glenorchy was filmed for Lord of the Rings, and the area on the right as you drive up to Lake Sylvan is actually Isengard, not that I’d be able to recognise it mind you. But still, nice to know I’ve actually been there. After a sunset over the mountains, it was back for a night and a beer or two in Glenorchy then onwards to Te Anau to start the drive to Milford Sound. 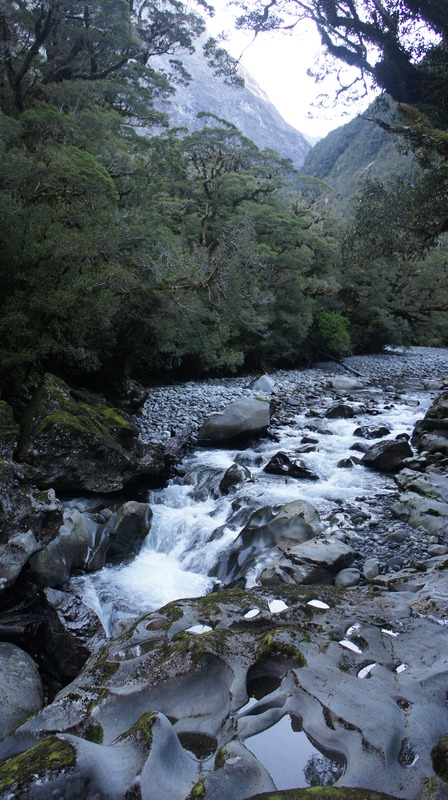 It takes a couple of hours to drive along Milford Road from Te Anau to Milford Sound but it’s recommended to take your time as there’s loads of places to stop, and DOC campsites galore. We had another perfect night at Henry’s Creek campsite where we played our made up game (sticks and stones) on the edge of the lake until the sun went down then laid and star gazed at the amazing New Zealand night sky for hours. Anyone that’s been to NZ will know about the stars. You can stare at them forever yes? One of life’s simple pleasures. This whole week was about enjoying the moment and the simple things in life. No wifi, no TV, not many other people. Wonderful. 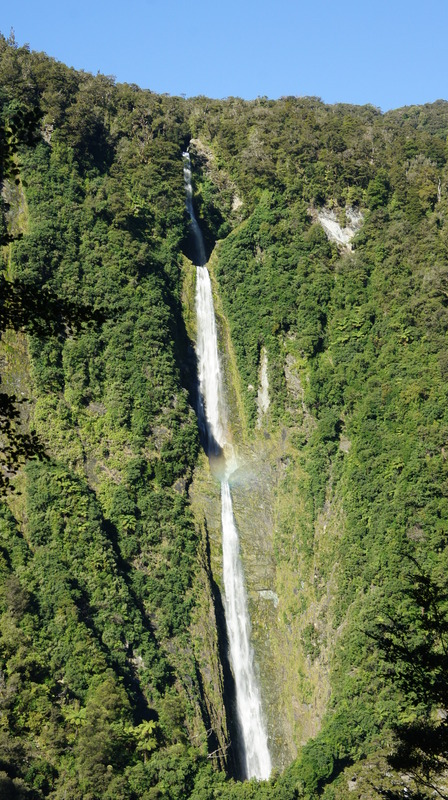 Mirror Lakes, Mistletoe Lake, Lake Gunn nature walk, the three-tiered Humbolt Falls, the Homer Tunnel and The Chasm were all stop offs on Milford Road. 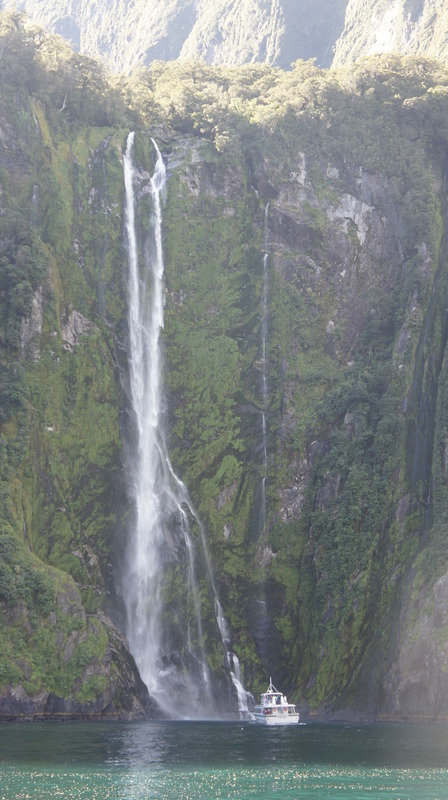 Marvels of nature; more massive mountains, waterfalls, forests, weird rocks, and wildlife. The drive was just incredible, my favourite driving day for sure. It was just spectacular. 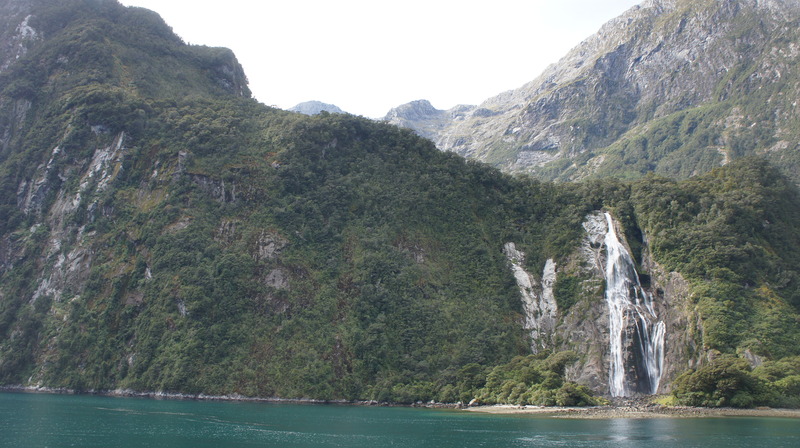 The end of a days driving was Milford Sound, and the heart of Fiordland. 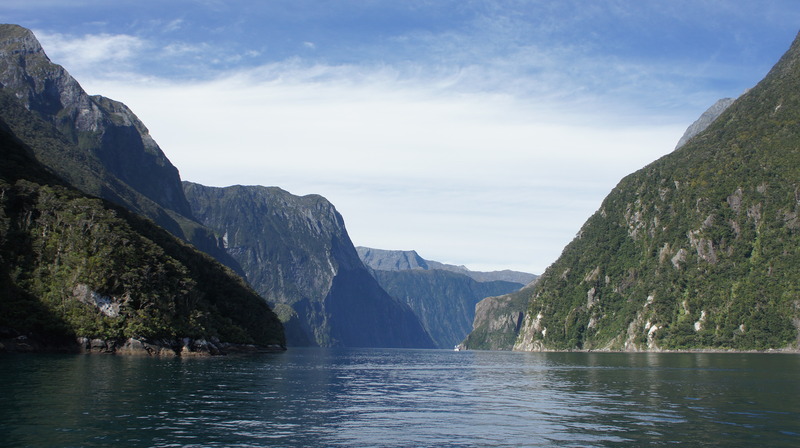 The best way to see it is from the water, cruising through in between all the amazing mountains and sheer cliff faces, waterfalls metres high tumbling out of the rock to get out into the Tasman Sea and back again. 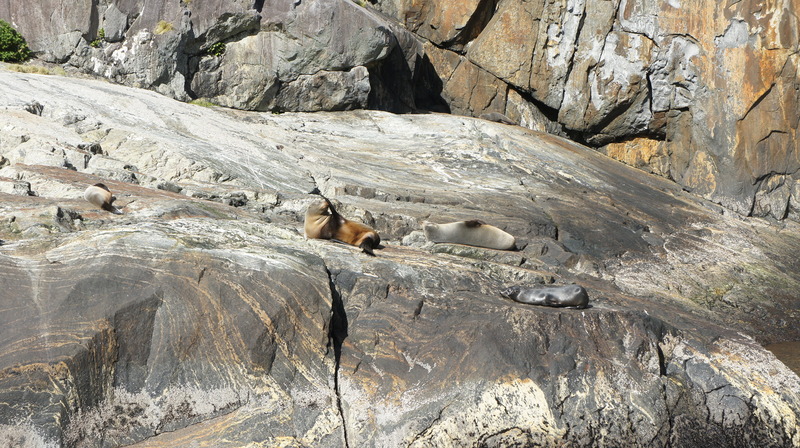 We saw seal colonies sunning themselves on the rocks, and dolphins gave us a show a few times, even swimming along with us in front of the boat for a while, just 10 feet below us. A rare treat and it felt really special to have experienced it. Beautiful, beautiful creatures, I was close enough to be able to see all the different markings and how they glided along in the water, jumping out every now and then. Mum, you would have absolutely loved this. 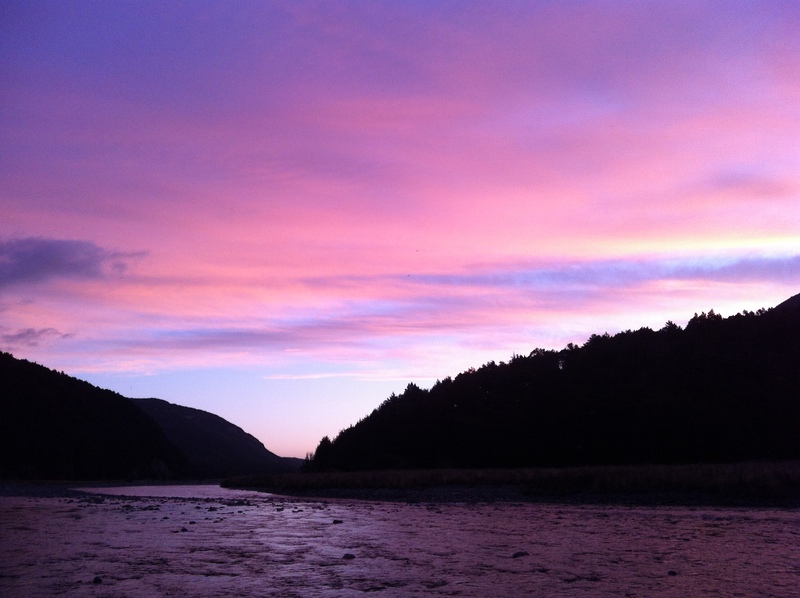 Another stop at the Totara DOC campsite on Milford Road (purely because it had my name in it) where we saw the most amazing sunset over the river that ran through it. A fitting end for the last night of our roadtrip together before Johnny went onto Wanaka and I went back to Queenstown for a few days before the last part of my roadtrip. A bit of a ‘this is what we did, where we went and what we saw’ blog post but, well, this week has a lot of personal memories that I guess I don’t really want to write down and share. It was one of the best weeks on my road trip with a fab person to spend it with and I have a whole host of wonderful memories that I’ll cherish forever. This entry was posted in Travel and tagged backpacking, beach, beer, campervan, camping, company, cruise, dolphins, friends, glenorchy, holiday, lake, lake sylvan, milford road, milford sound, mirror lakes, mountains, nature, new zealand, queenstown, romance, star gazing, stars, sticks, stones, the chasm, travel, travelling, walks by papytee. Bookmark the permalink.